Loving // learning about our sheep. We've had them for a couple of months now, the little lambs and weaners have grown so much in that time, as has Rilla in her working abilities. 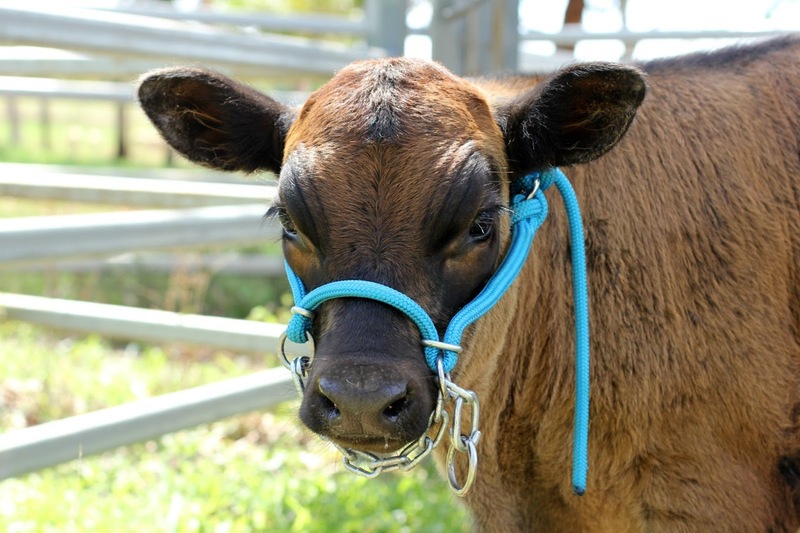 They're quite handy little lawn-mowers, too, as we can put them places the cattle can't go. Eating // all the beautiful fruits that Christmas time has to offer. Mangoes, peaches, jabuticabas, and even some locally grown tropical apples. 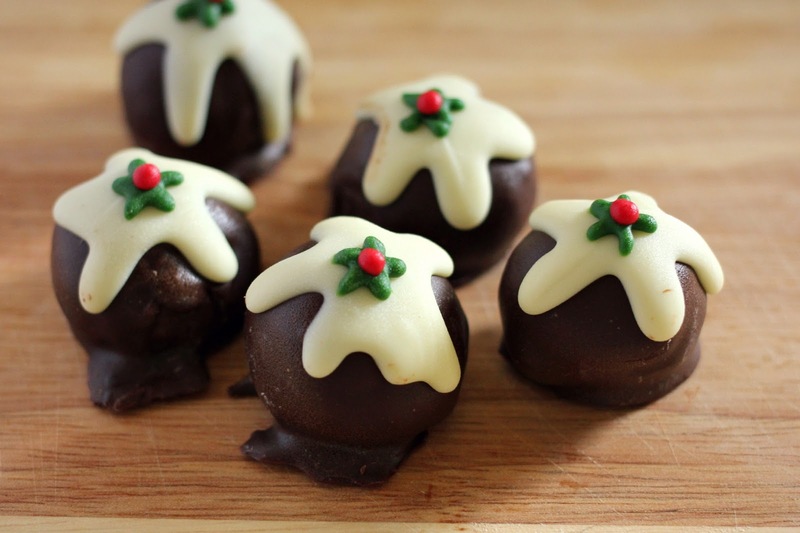 Oh, and those adorable little plum puddings you see up there. They were too cute to resist, being treat sized and so nicely decorated. Upon purchasing we found that they were actual plum puddings on the inside. They were yummy too! Drinking // for a treat I made the Blueberry Sparkling Lemonade from Eleanor Ozich's delightful book. Needless to say it was delicious and very refreshing. Wearing // my coolest clothes, and whenever I step outside always a hat. It's hot and the sun is very strong even very early in the morning. I hope you had a wonderful Christmas Day. PS For any of you that are wondering, the little dog in the first photo is my Mum's. 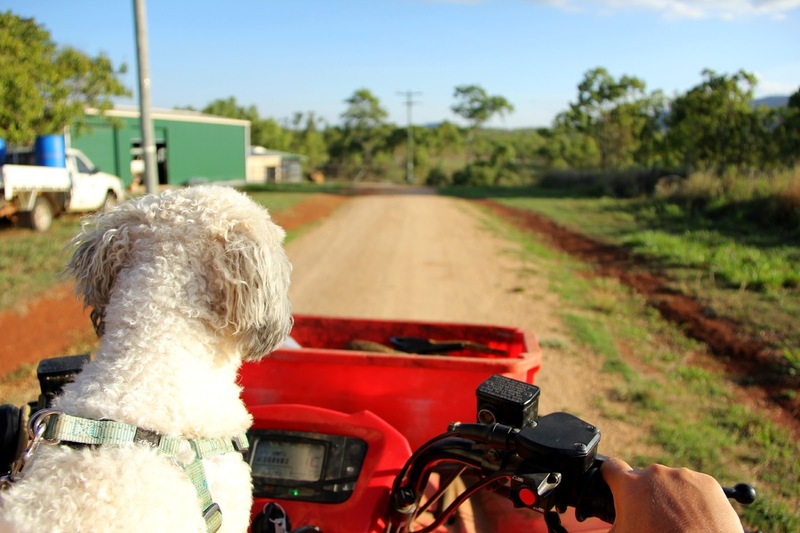 He's name is Max and there's not much he likes better than riding on the quad bike! Lovely pics in this post, and I do envy you all those summer fruits. And the long summer days. But "Can you believe there is only one day left of 2014?" ... um, no ... heehee.